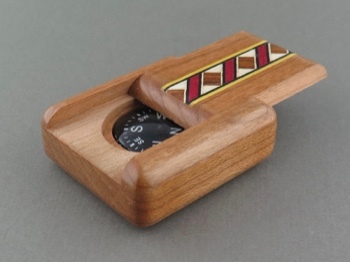 This tiny handcrafted box hides a functioning compass, useful to anyone who enjoys the outdoors. 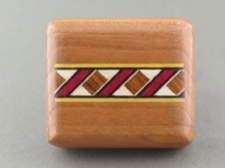 Beautifully made of American Cherry with a marquetry of mixed woods. 1.5 x 2 x .5 inch, easily slides into pocket. Made in USA.